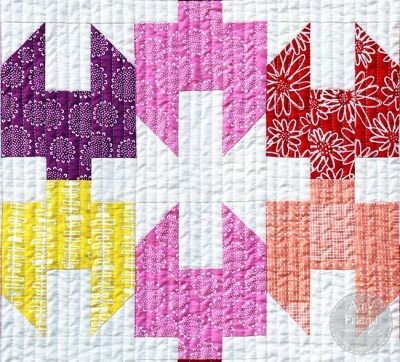 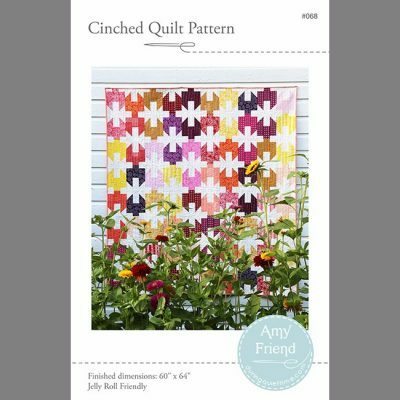 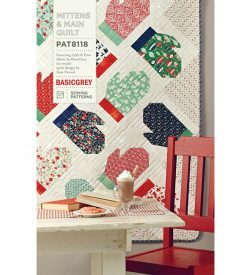 Cinched is not your average jelly roll pattern; it boasts both a bold primary and secondary pattern. 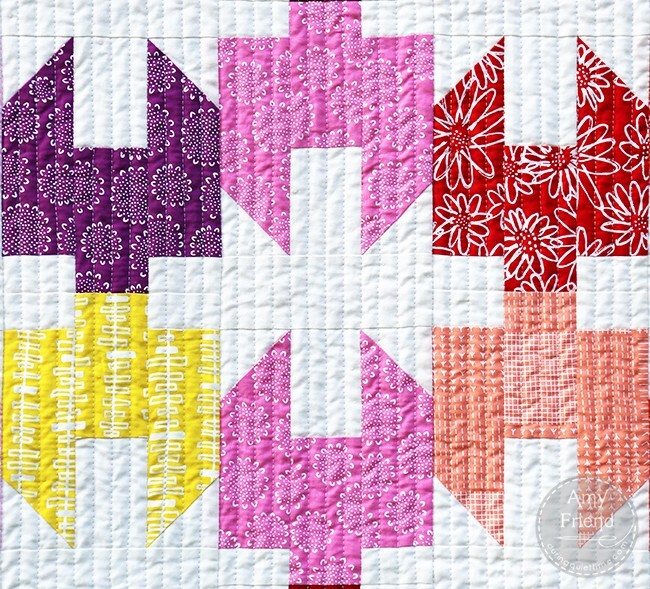 It is made with 2 jelly rolls (or their equivalent): one for the brights and one for the background. 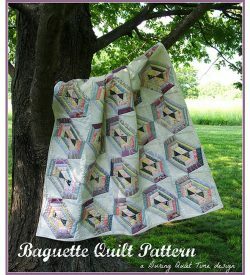 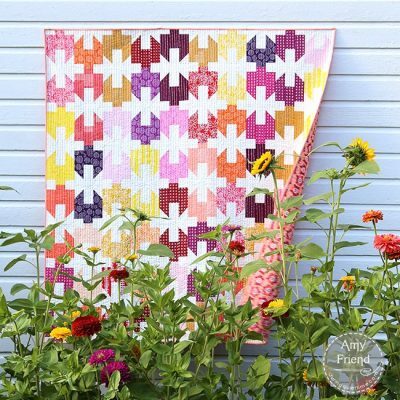 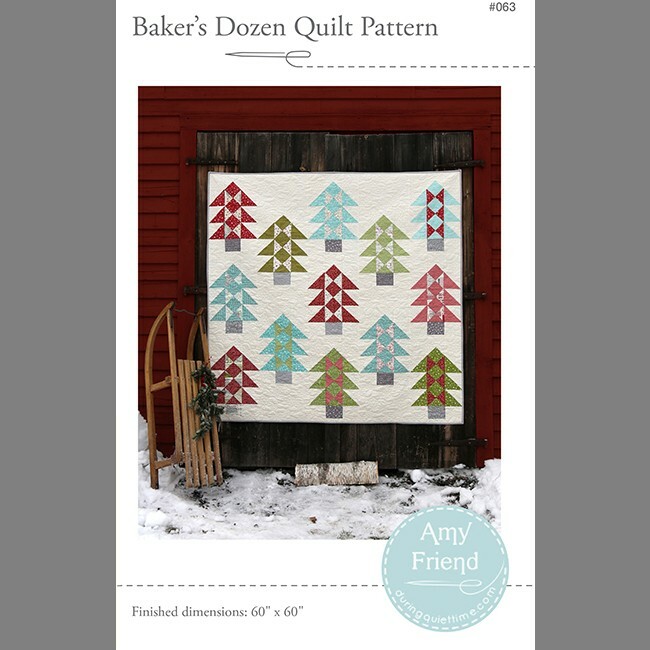 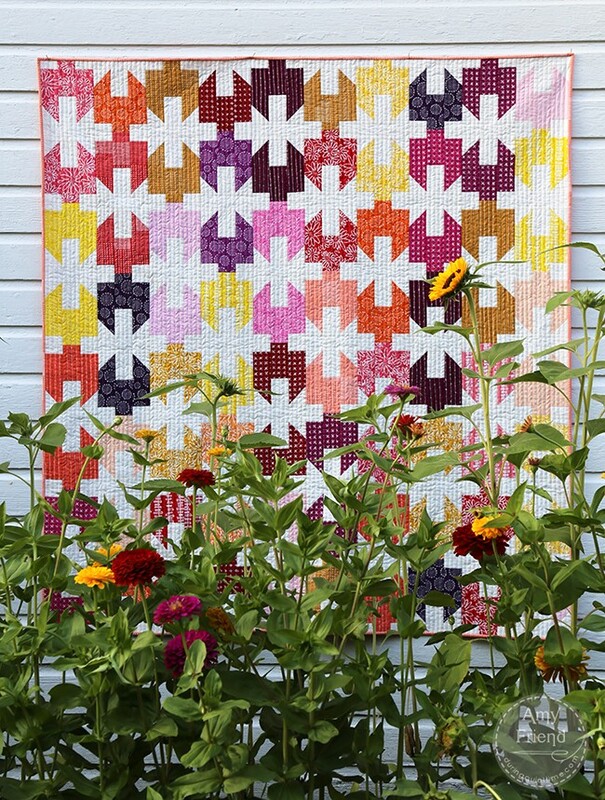 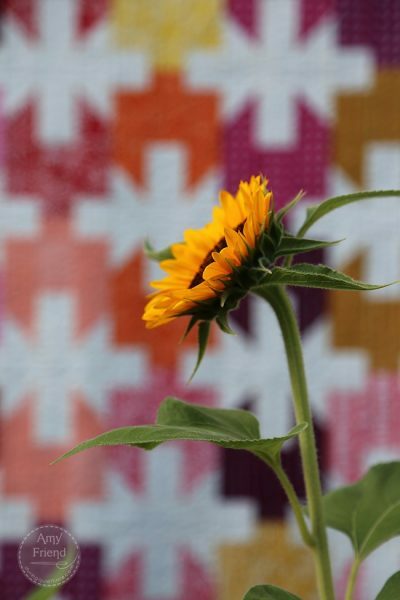 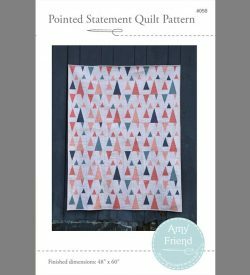 The quilt top is a cinch to make and appropriate for even a beginner. 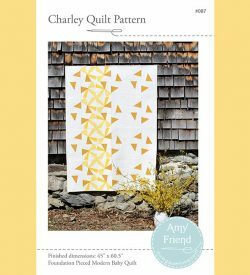 There is no squaring up or trimming down. 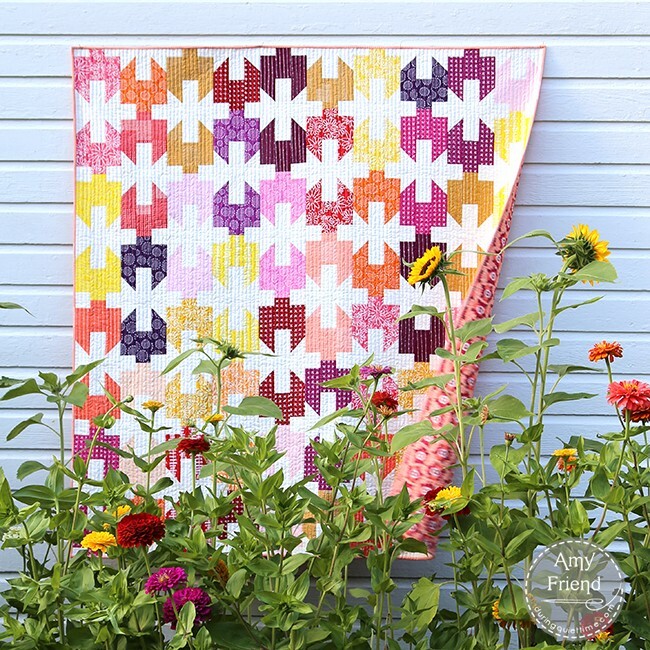 It’s also super chain-piece-able!